You will also receive a Trait Medal #26 each time you draw from this Deal! The Limited VIP Boards will be available until the Prime - Illustrated Roxas Deal ends on Aug. 6, 2018 11:59 p.m. / Aug. 7, 2018 6:59 (UTC). Race the clock while completing all the objectives to obtain great rewards! Each day there will be a new quest, for a total of 7 quests! By completing the challenges for these quests, you can receive rewards such as EXP, Cid and 6★ Chip and Dale Medals! You must simultaneously complete all three objectives in a quest in order to receive the rewards for that quest. Good luck!! Did my 3 pulls. Only Trait Medals. No Roxas Prime of any kind. As per my word, I uninstalled and said my piece on both feedback options available. Farewell everyone. I apologize for my past outbursts and any ill feelings they have caused. I hope you all have a good time, I probably won't pop in to the part of the site after this. Don't want to reopen the wound and all that. Goodybye, and good luck. I really don't get why SENA is doubling on on the bad, like usually when a company does some shady things like these, which are 100% coming from the publishers greed, they then slow down on the sellout stuff and leave the game in charge of the devs or someone like them who care for the playerbase and see money not as a priority. Then the players start getting happy and after some time they just forget and trust the game again, then they do bad stuff again and so on. While here, they are just pushing out banner after banner after banner, I don't remember having this many banner in a single month, ever. All of this while coming from a horrible global festival, a disgusting pvp mode which nobody likes, and one of the greediest move they've ever done, the introduction of the vip coins and that limited time banner with the boosters (spend almost 800$ and get 10 days of boosters, what a steal!). Not to mention the Toy Story collaboration, which was hyped and hyped, and it was only 2 banners (which aren't content, they really seem to believe that) and a boosters for said banner, pathetic. Coco had more stuff for it, and it was only a dvd release. All of this reminds me of Destiny 2, one of the biggest disappointments in recent gaming history, the first game had years of building up and polishing and at the end it was a pretty good game, then they threw it all away with the sequel, with a luckluster story and basically no end game, you could log in once a week at reset and you would have done everything there was to do. And while players were asking "where is our endgame? where is our cool loot? why are weapons all the same, every time you drop them?" the news came out that they were already working on destiny 3. Fortunately now the game is in the hands of competent devs and people doing damage control, but damn if it wasn't bad. Sorry if I started rambling, but I really can't put more faith in this game, I never thought of quitting because unless the service ends or something I tend to not give up on games, but I'm really, really, reaaaaaaaally close right now, I don't see any hope for the future of this game unless the people in charge change. From what I am reading here in the past two months or so my decision to not even start with Ux seems more and more to be a very sound one. Not only do they absolutely zero with the main story, the gameplay seems to also get worse with every passing week because only those who pump a plethora of real money into the game actually get material and equipment powerful enough to still compete for the top 10. Are they working towards having Ux being killed/canceled? Yeah, I didn't even realize that you only get a trait medal instead of a 6*. Like the fact that you got a 6* copy of every prime medal from just pulling once was the only saving grace in this neverending sea of banners that SENA is killing us with. But now all of a sudden, it's trait medals. Really crappy. And another VIP board? SENA, SENA, SENA. I wish this would just die. 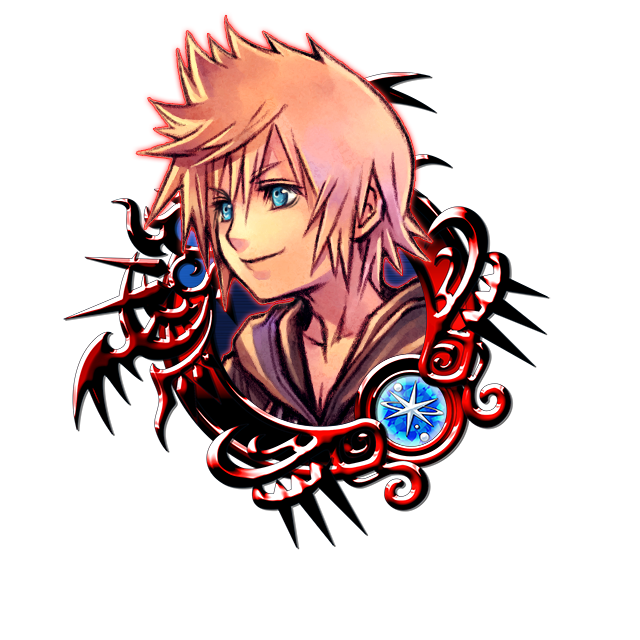 because with any other prime banner you got a 6 star version of the medal with each pull, so if you didn't have enough jewels to do a 5 pull you could always get one and evolve it later with fairies, but this new roxas banner gives you a trait medal with each pull, and unless you eventually get the real medal by pulling 5 times or by being extremely lucky, they are useless. It's a huge step back for people that can't/ don't want to spend real money to buy jewels, and this is coming off after the month long toy story banner (which a lot of people pulled from), the lea&isa banner and the young xehanort banner, which they were all important medals to have at least one copy off, not to mention the phantom banner and the saix banner, it's ridiculous. I actually am glad that the game reached a stage where the majority of players are complaining or quitting because I am hoping it will help SE(NA) to open their eyes and think about what they are doing to the game/player base? With the amount of banners we get and lack of content and how awful PVP is and evolving medals... also the pull costs shouldn't be THIS high. And even a lot of people who whale can tell that it's nowhere balanced or fair? The VIP content isn't great too and the game somehow managed to kill itself. Sure there are people who are like "Quit the game if it frustrates you" but that's not something SE as a company would want, right? So I'm just waiting for them to fix their game and if they don't do it I'm just watching it die on its own tbh. I won't be quitting, but definitely not investing in the game any further. There is literally very little to do other than PvP. SE put all their eggs in the wrong basket. I was one of the few who never looked forward to PvP when announced. I didn't care for the idea of battling other players. That's not what I want from my Kingdom Hearts game. And now, PvP is a worst nightmare than I feared. But apparently, SE is razor focused only on PvP, with little regard for anything else. I have a hard time understanding that, but so be it. Frankly, I don't want to kill this game or see it die. I do hope that SE, because it isn't just SENA, does something...and quickly. Although, I do blame SENA for how they twisted the JP version and continually cheat the the NA/Global players with their own warped version of the JP game. JP gets lots more jewels on a continuous basis than we do. Why is that? We also get shafted on lots of medals and events JP got that we didn't. Why is that? Mistreatment all around by SENA. But the PvP is totally a SE disaster, not just SENA. I don't mind the concept of fighting other players. That doesn't bother me. Making it into a contest with high stakes is what bothers me. Then on top of that they made the ranking system downright terrible where you SWAP places with the person who beats you instead of just dropping a place. This means you have no security, and can be in the top 3000 one second and be 7000th place the next. I'm thinking of dropping the game. Yesterday I didn't even do my daily jewels nor did I do any PVP quests. This was the very first time I didn't do the daily tasks for the jewels since that began. Definitely PvP is totally broken, and not just because of the ranking aspect. There are little to no chances of many players ever getting Silver tickets. I only got Silver in the opening of PvP when they gave them away, and then one other time. That's it. The whole system stinks and is broken, yet we get no word from SE at all. None. I don't want the game to die and won't quit. I just won't give them any more of my money. Simple.